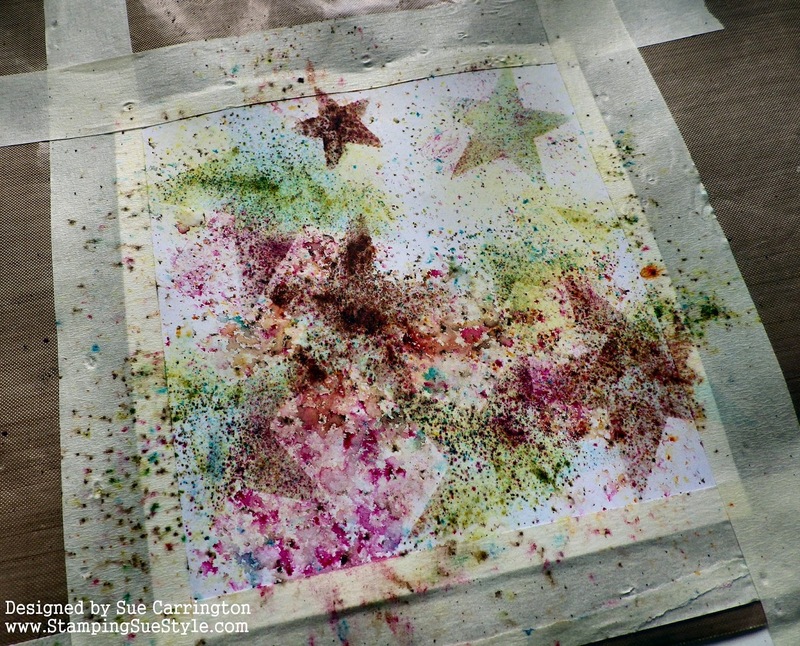 For this challenge I would love to see a mixed media project that has star/s in it somewhere. 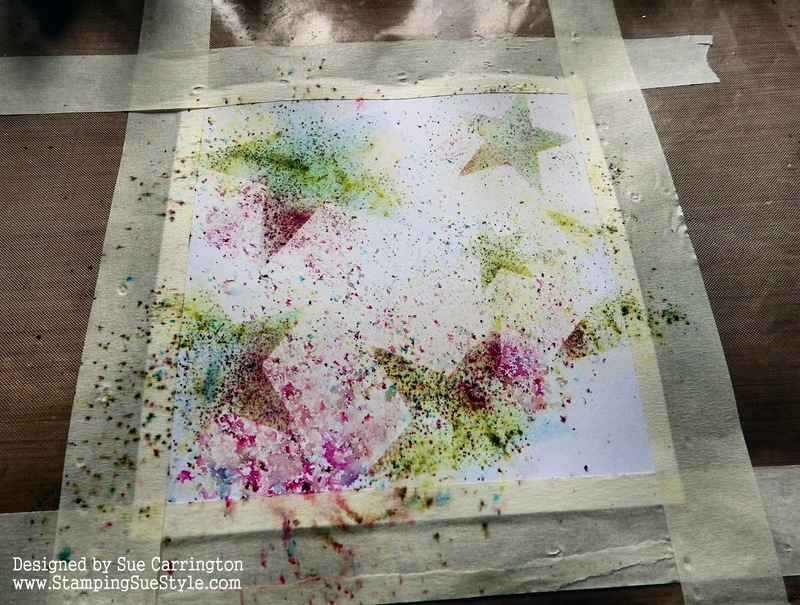 You can create anything you like as long as you include a star. 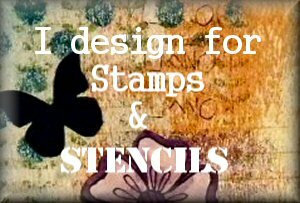 Don't forget to use stamps or stencils or both! Can't wait to see what you create! I've been itching to play with the Infusions colours so this was my opportunity ! 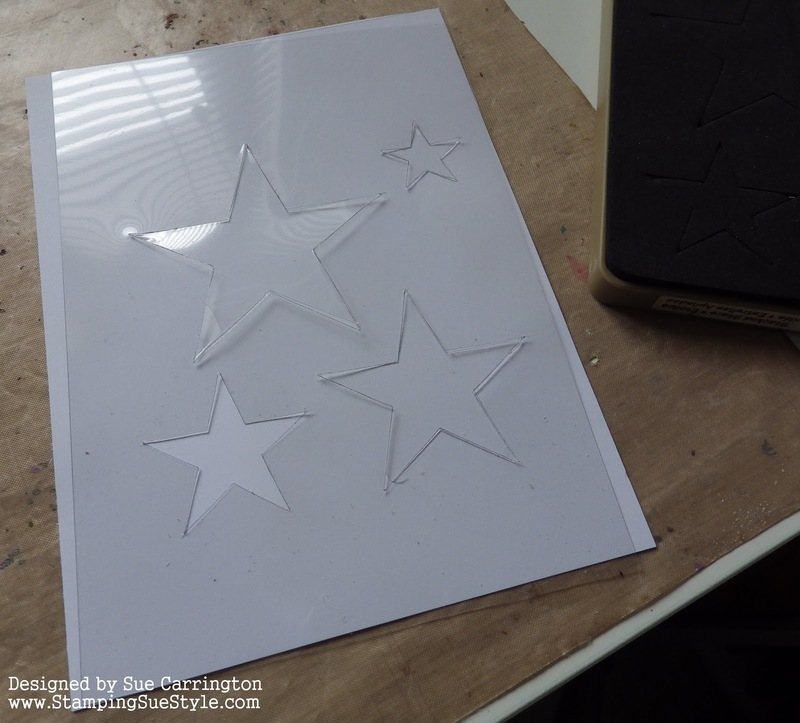 I used the Tim Holtz Stacking Stars to cut the stars from Acetate. I used the Acetate as a stencil and pressed Versamark ink through the stars then sprinkled on Infusions. I removed the stencil then spritzed with water. I wanted to keep the bright colours so dried the Infusions straight away. The next layer was more Infusions this time using Rusty Car, drying it before the walnut stain started to show. 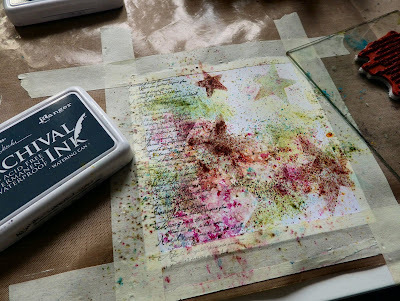 I used Watering Can Archival ink with the script stamp from one of Lin Brown's new stamp sets. 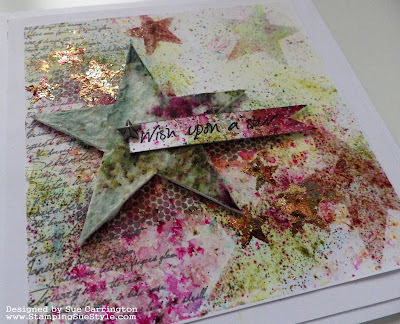 Some more stamping with Watering Can then I decided to do some embossing but couldn't find my gold EP. 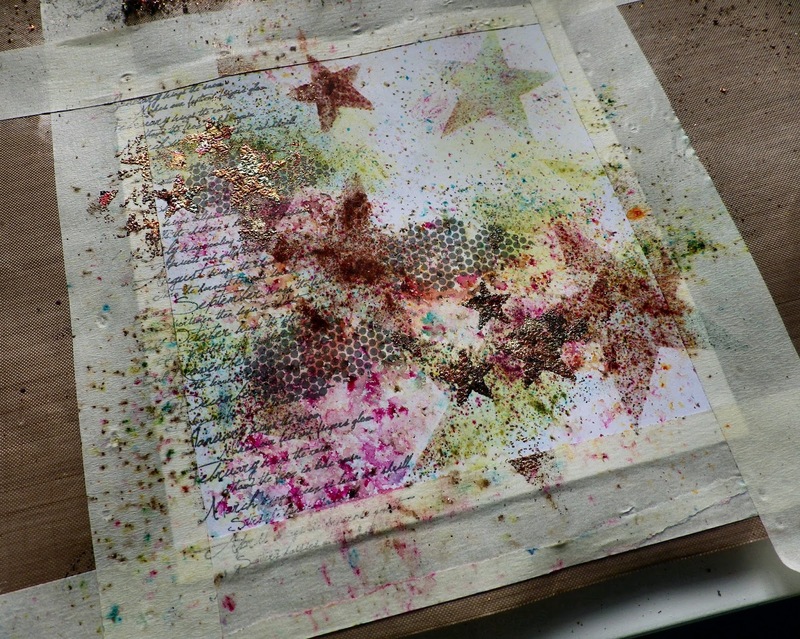 But I did find my Sticky EP, so I stamped the stars from Lin's set with Versamark and sprinkled on the Sticky EP and heated it, then pressed Gold Leaf over the stars. I wanted to use the large star from the Tim Holtz as the main image and fancied incorporating some fabric. 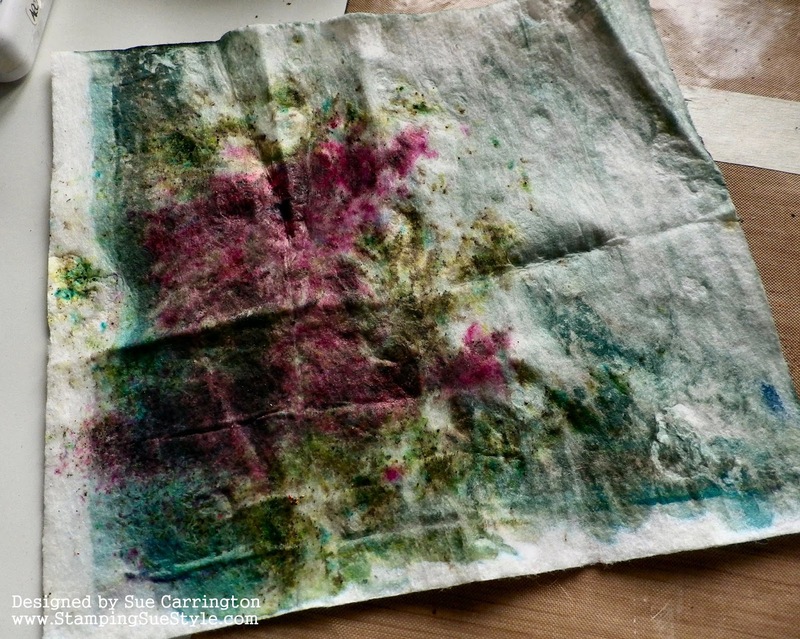 Searching through my bit box I found a baby wipe that I'd saved with some colour already on it. I sprinkled on some Infusions spritzed it with water and dried it. 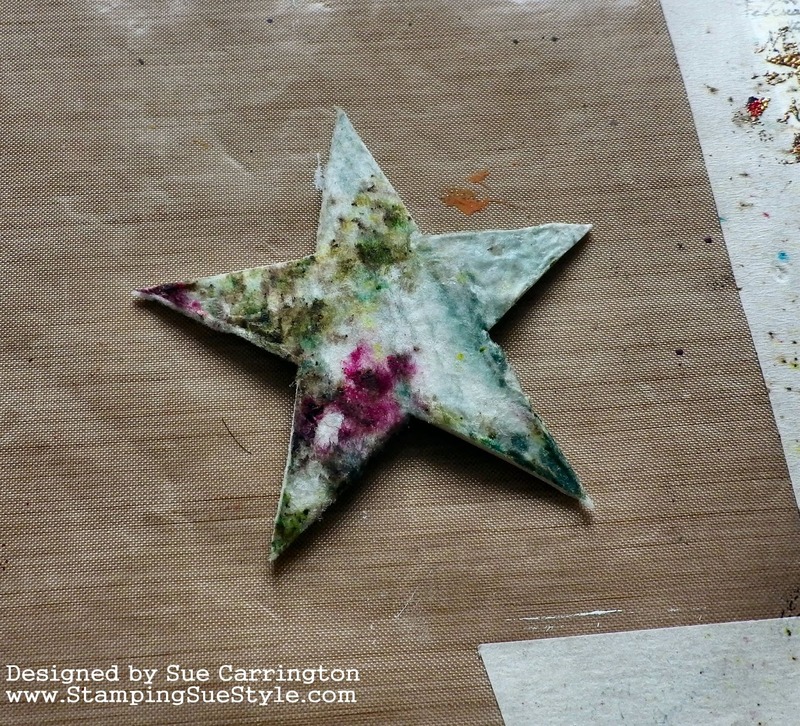 I die cut the large star from a coaster and covered it with the baby wipe. 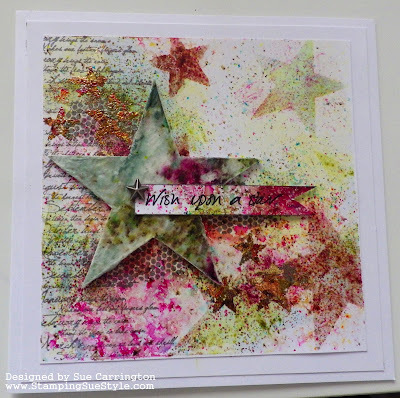 The sentiment is also from the Lin Brown set and is stamped onto some Smoothy card that's had more Infusions sprinkled over it. One final shot to show the shine from the gold leaf and also the little metal Finnabar star. You may have spotted that I've layered the Infusions card on to a layer of white card. When I tried to removed the masking tape it pulled the top layer of paper from the card, so I had to trim the top layer back to the Infusions. 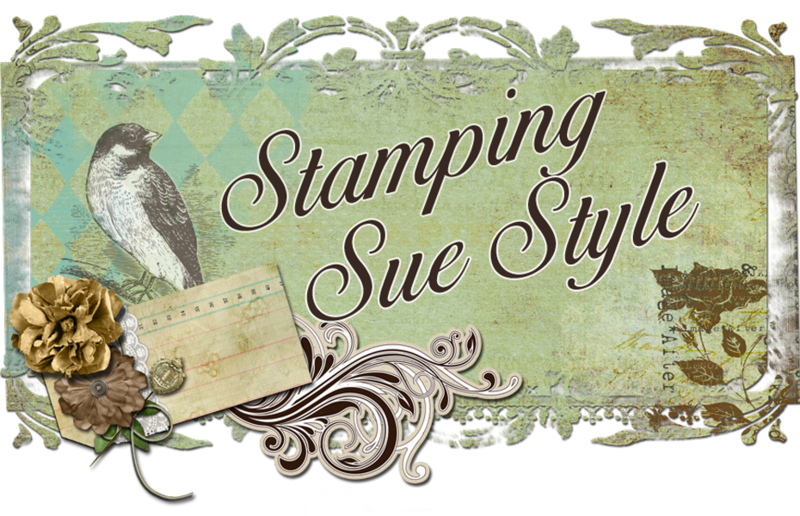 I hope you get chance to join us for this challenge and do make sure you hop over to Stamps and Stencils and see the rest of the DT's fabulous projects !